A bit of a cheat this month…. Once again, I had great fun photographing Bede’s summer fun day and looked for something distinctive to capture. I noticed a white chair in front of a brightly painted wall and realised it would be a good spot for portraits. So I invited people to sit in the chair and adopt whatever pose they wished. 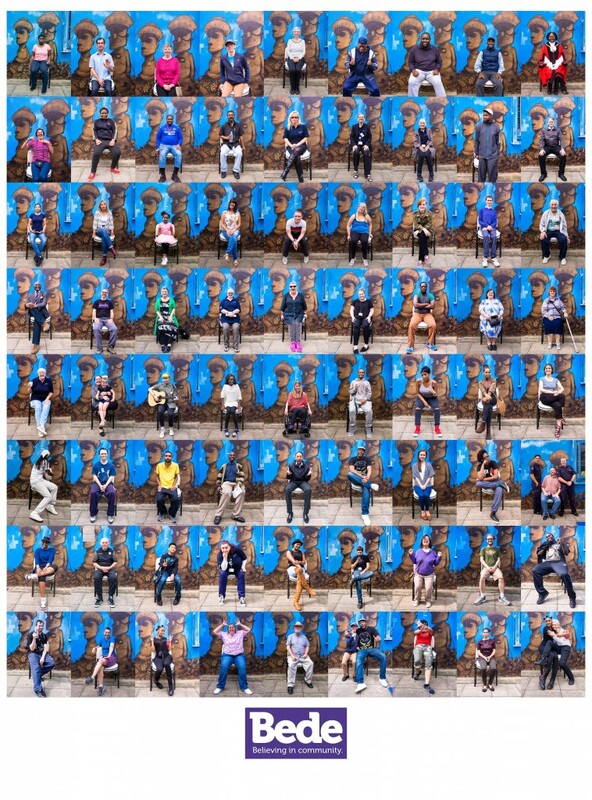 The resulting portraits I then put together on one A0 size print, for display in Bede’s community centre.